05/06/2017, Permali Wallace Pvt. Ltd.
IWN Madhya Pradesh has celebrated World Environment Day by plantation drive at Permali Wallace Pvt Ltd on Monday, 05thJune 2016, 0930 Hrs – 1030 Hrs, followed by Members Meet. Members have decided to serve Mother Nature by doing plantation every month. Each World Environment Day is organized around a theme that focuses attention on a particularly pressing environmental concern. The theme for 2017, ‘Connecting People to Nature’, urges us to get outdoors and into nature, to appreciate its beauty and to think about how we are part of nature and how intimately we depend on it. It challenges us to find fun and exciting ways to experience and cherish this vital relationship. World environment day is a campaign established to bring some positive environmental changes all over the world to make life better and more natural. 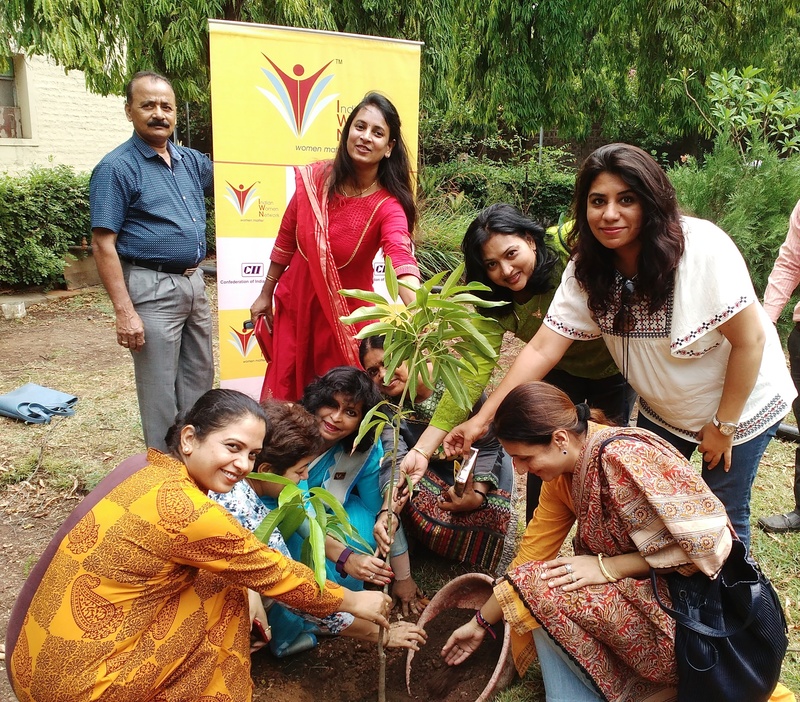 IWN MP Chairperson, Ms Ravisha Merchant said, Environmental issues are big issues now-a-days to which everyone must be aware and give their positive efforts to solve such issues. The condition of our environment is getting declined day by day because of the pollution and global warming. We should celebrate and promote eco-friendly development in our country in order to save the environment for better future.